Following a year of controversy, new research suggests younger U.S. users are fleeing Facebook at an alarming rate. 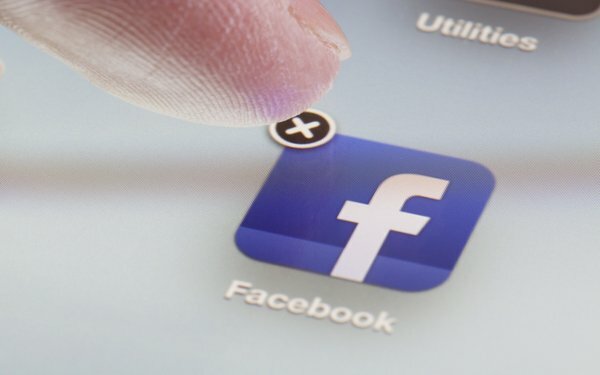 Over the past year, a staggering 44% of younger users -- ages 18 to 29 -- say they deleted Facebook’s app from their phones, according to new findings from Pew Research Center. Across all ages and U.S. demographics, 26% of those polled say they deleted the app, Pew finds. Conducted from May 29 through June 11, the survey followed revelations that the former consulting firm Cambridge Analytica had collected data on tens of millions of Facebook users without their consent or knowledge. “That said, these findings speak broadly to the sense that Americans — and younger adults in particular — are fairly intent on using as many of the tools and approaches at their disposal as possible to manage their online privacy,” Smith said. Initially, Facebook executives suggested the tech titan could escape the scandal unscathed. But -- as this new report shows -- that has not been the case. Proving that privacy issues have become top-of-mind among Facebook users, a majority (54%) report having adjusted their personal privacy settings over the past year, per Pew. Short of deleting their apps, plenty of users are taking other measures to distance themselves from the social giant. Over the past year, 42% of Pew respondents say they took a break from checking Facebook for a period of several weeks or more. Along with privacy breaches, Facebook has also been beleaguered by nasty political discourse among users, trolls, spreaders of disinformation and “fake news,” and other bad actors. In addition, the platform has faced allegations of suppressing conservative voices from a host of critics, including the President himself. Yet, Pew’s poll found that nearly identical shares of Democrats and Republicans -- including political independents who lean toward either party -- continue to use Facebook. Republicans were no more likely than Democrats to have taken a break from Facebook or deleted the app, this past year.